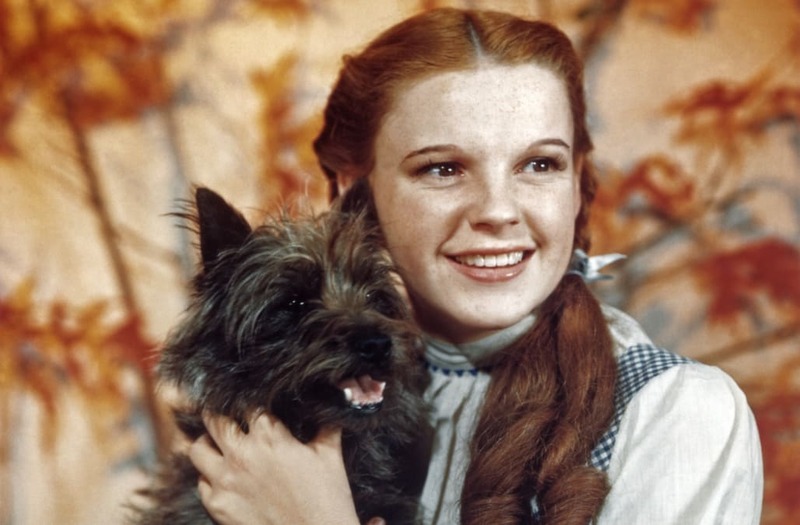 Judy Garland was repeatedly molested by the actors who played the munchkins in "The Wizard of Oz," her third husband, Sid Luft, claims. In his jaw-dropping posthumous memoir, "Judy and I: Me Life with Judy Garland," Luft says that the munchkins made Garland's life "miserable" on set of the iconic musical. She was 16 years old at the time of filming. "They would make Judy's life miserable on set by putting their hands under her dress," Luft wrote. "The men were 40 or more years old." The allegations aren't totally out of line with past rumors of the munchkins' out of control behavior on the "Oz" set, though they're the first of this nature. As People notes, claims that the actors gambled and were involved with prostitution while filming "have been floating around for decades." "They thought they could get away with anything because they were so small," Luft continued. Garland and Luft were married from 1952-1965, and he's largely credited with reviving her career by producing her 1954 film, "A Star is Born." She received an Oscar nomination for her leading turn in the film. An earlier-released excerpt from his memoir alleged that Garland had a secret abortion towards the beginning of their relationship, when she was still married to Vincente Minnelli. Garland died after an alleged overdose in 1969, while Luft passed decades later in 2005. (Original Caption) Singing star Judy Garland who recently announced she'd make her permanent home in England, but according to rumor has changed her mind, and will live in New York, is shown at the Harwyn here, with her husband Sid Luft. (Original Caption) Screen star Judy Garland gets an affectionate kiss on top of the head, and an orchid from husband Sid Luft, as she arrived in London from Paris here. Judy, who had just completed the film A Star Is Born, had been vacationing on the Rivera and in Paris with her husband. Luft arrived in London a few days before she did. They left the vacationing spots for the United States the day before this photograph. (Original Caption) Actress Judy Garland an and husband Sid Luft appeared in court here when actress Lynn Bari brought Charles against Luft, her former husband on $3,627 in unpaid alimony for 1952. Miss Bari stated that Luft had agreed to pay her 10 percent of his income but Attorney S. S. Luft was hiding his true income as Agent for Miss Garland by filing two different income tax returns, one for the Government and the other showing losses for his first wife. (Original Caption) After completing her latest movie, A Star Is Born, Judy Garland takes it easy at Monte Carlo, as she and her husband Sid Luft and Movie Executive jack Warner, (R), attend a benefit performance for French polio victims. Glamorous Marlene Dietrich was the headliner at the show. (Original Caption) Vivacious Judy Garland smiles back over her shoulder at an applauding coterie of her fans, as she leaves the premiere of her latest film, A Star is Born with her husband Sid Luft. the film Judy's first in several years, was acclaimed by a celebrity packed audience. (Original Caption) Judy Garland, daughter Liza, 7, and Judy's husband, Sid Luft, are shown as they arrived on the 20th Century from the West Coast this morning. They are here to attend the formal New York premiere of Warner Brothers A Star is Born, in which Judy stars with James Mason. (Original Caption) Judy Garland and her manager husband, Sid Luft, are playing with Liza, 10, Judy's daughter by her second marriage, in their Plaza Hotel Suite. Judy was returning to the palace, where she scored some of her greatest triumphs to climax her great comeback. After her New York engagements, Judy was scheduled to take her show to London.